Bishop Irja Askola was part of a delegation of Finnish Christians who met with the Holy Father during the Week of Prayer for Christian Unity. For many years now, during the Week of Prayer for Christian Unity (from January 18, the Feast of the Chair of St. Peter, until January 25, the Feast of the Conversion of St. Paul), an ecumenical delegation on pilgrimage to Rome from Finland is received by the Holy Father. The visit typically takes place on January 18, the day before the feast day of St. Henrik, the evangelizer and patron saint of Finland. This delegation normally consists of the representatives of the three main Christian denominations in Finland, this year in the persons of the Lutheran Bishop Irja Askola, who was the head of the delegation, Metropolitan Ambrosius of the Orthodox Church of Finland, and Bishop Teemu Sippo of Helsinki, Finland’s only Catholic diocese. 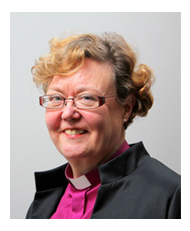 Bishop Askola is the first female bishop of the Evangelical Lutheran Church of Finland; she was elected bishop of Helsinki in 2010. At the conclusion of the Week of Prayer for Christian Unity, the Vatican and the Lutheran World Federation announced that Pope Francis will travel to Sweden in October for an “ecumenical commemoration” of the 500th anniversary of the Protestant Reformation. During her visit to Rome, I had the chance to meet the Bishop Askola and ask her few questions about her trip and her encounter with the Holy Father. “Ecumenism is not an option, but is an integral part of the Christian identity,” Askola said. It was her first time on the annual ecumenical pilgrimage to Rome, and she said the warm reception she received is a sure sign of commitment to the ecumenical cause.